Closeout! 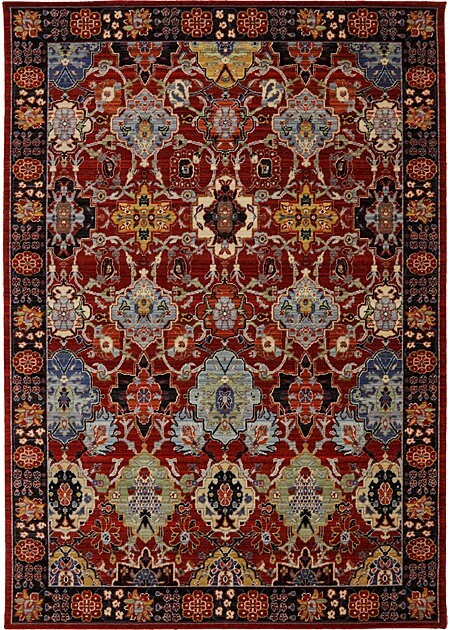 - European and Persian textile traditions create a modern mix of excitement and elegance in the bold, sophisticated Karastan Bravado Collection. The abstract shapes of this collection are on intricately striated backgrounds in a vivid spectrum of jewel tones for astounding beauty.